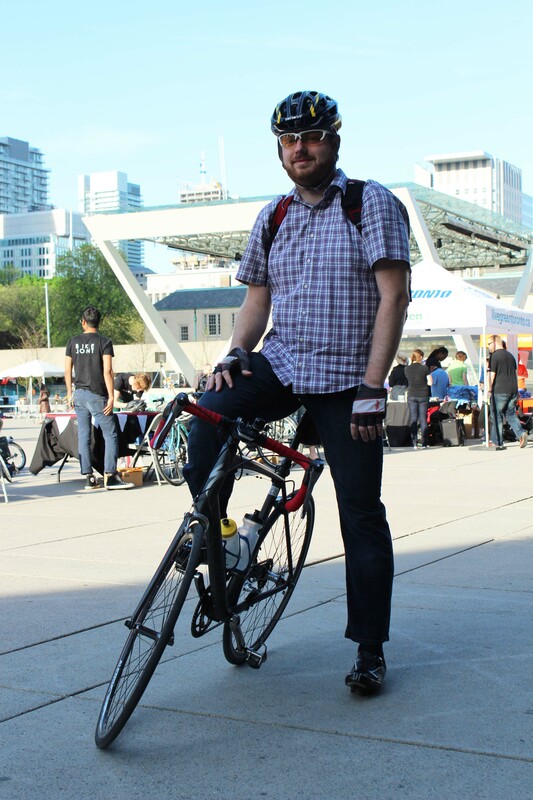 "There's more congestion in the pancake line than there is on the Gardiner Expressway," city councillor and public works chair Denzil Minnan-Wong joked awkwardly, at this morning's Bike to Work Day celebration in Nathan Phillips Square. Politicians serve pancakes to hundreds of cyclists every year at Bike to Work Day, which kicks off Bike Month in Toronto. This year the Toronto District School Board declared the first ever Bike to School Day. We'll have more stories about Bike to School Day tomorrow on the dandyBLOG. 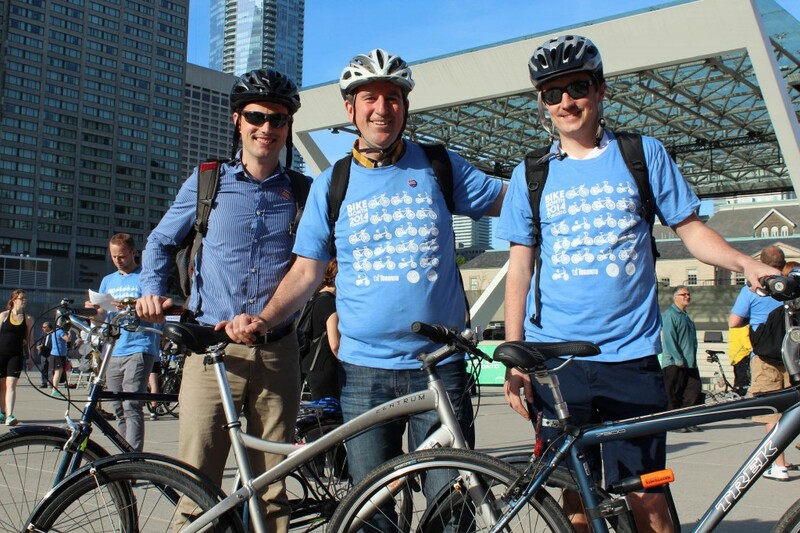 To kick off Bike Month in the GTA, hundreds of cyclists met at locations all over the city, including on Bloor, and then biked down Yonge Street to City Hall where they were greeted with a pancake breakfast. 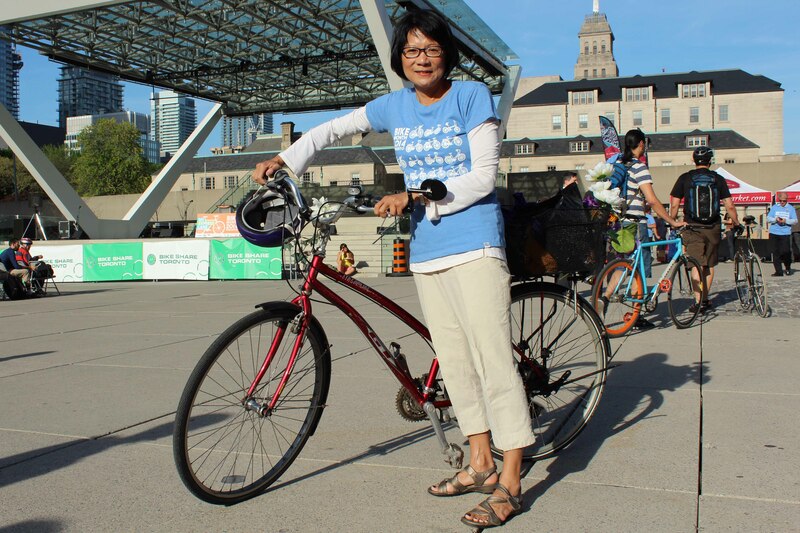 Among the riders were mayoral candidates Olivia Chow, Karen Stintz and David Soknaki as well as provincial minister of transportation and infrastructure, Glen Murray. We've interviewed the top five mayoral candidates and 18 policy-makers, planners and politicians -- including minister Murray -- in our upcoming Bike Plan Election issue of dandyhorse. Today also marks the Bike Day in Canada which is organized by Canada Bikes and MP, John Weston as well as the first ever bike to school day. Teacher Emma Sheppard along with Central Technical School's bike club (above) are celebrating bike to school day with a trip to Centre Island that started at city hall. 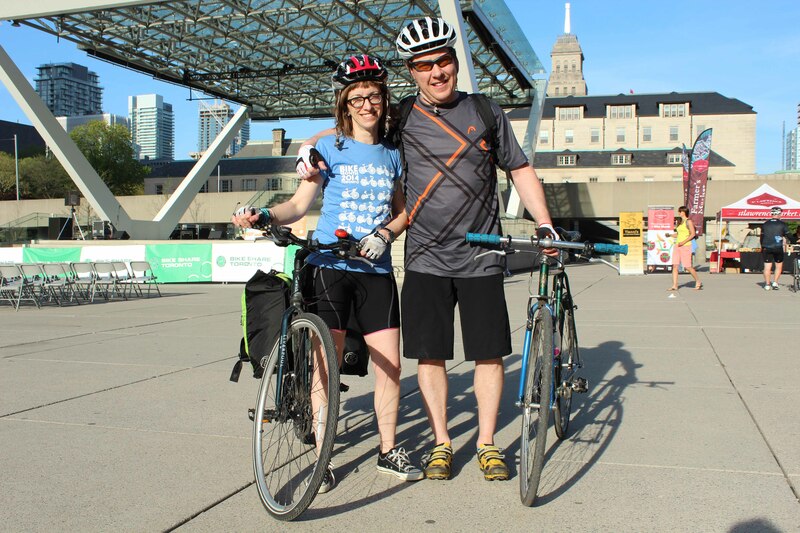 Christine and Ben Bradshaw (above) say that they ride everyday and and that events such as Bike to Work Day create awareness and provide information about Toronto's cycling community. "It's education for both cyclists and drivers," said Ben Bradshaw. "The more people come out, the more others are encouraged to access such accessible means of transportation (cycling), there is strength in numbers," said Andy Zarzycki (above) who was biking to work this morning. Stay tuned to the dandyBLOG for more Bike to School stories. Our June Bike Plan Election issue will feature more pedal pride and political interviews too!